How would you like to be in charge of the legacy systems? I’m back and badder than ever. This time with even more poorly punctuated ramblings. So what have I been up to I hear you all (not) asking? Working on a couple of small ruby on rails gigs. Some .net bits with the Castle framework but of course. Helping a friend with a hosting startup. Purchasing and configuring various doses of servers, firewalls, switches, DNS, reverse proxies… I’ve certainly learnt a lot the last few months. Not to mention I have a few interesting happenings coming down the pipeline so do stay tuned! Sopcast: Watch premier/champions league football for free! Sweet, use Sopcast to stream live premier & champions league football games (among other things) for free. Handy if you don’t have satellite or cable TV! I’ve added them in order of preference as far as I can tell. Anyone got any other tips for a quick win regarding SEO? This is my first post from Ubuntu land! 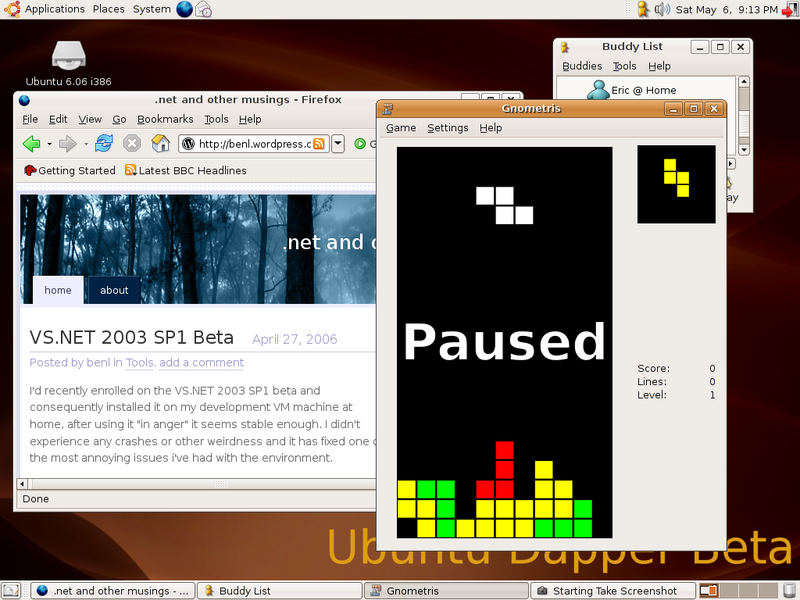 I'm currently running the Ubuntu Dapper Drake beta 6.06 Desktop CD inside VMWare Player. The beta is due for release around June time this year. Have to say i'm very impressed by the whole LiveCD experience. Especially for evaluation purposes and when combined with the excellent (and free!) VMWare Player. I'll definitely install the full release OS on a spare partition when the time comes. 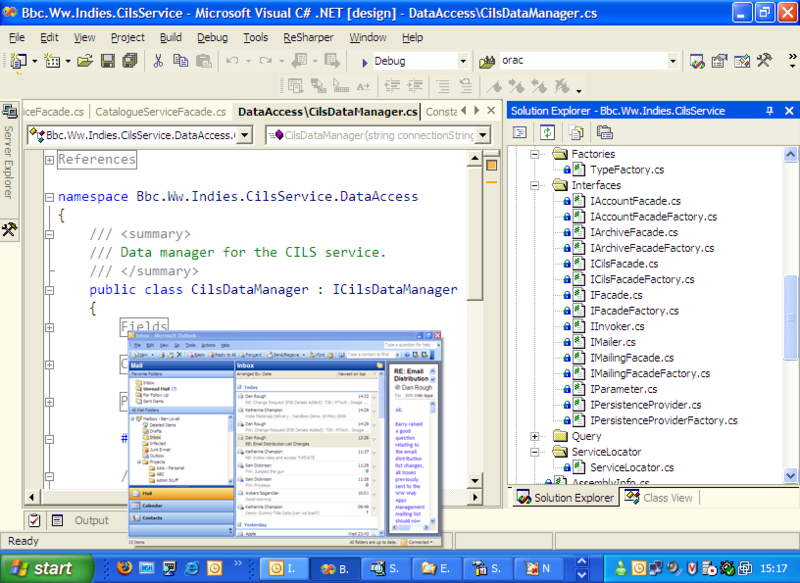 Copy the content below and save as a VMX file alongside the LiveCD ISO to run in VMWare Player.